MetalShield™ - V | Ascension Technologies, Inc. Corrosion can be a killer in the oil fields. Oil and gas experts have identified Microbiologically Influenced Corrosion (MIC) as a main threat to their equipment. MIC is responsible for up to 50 percent of all corrosion damage, with an estimated price tag of US $1.5 trillion a year globally. Ascension Technologies, through its PetroLuxus’ family technologies, has been on the forefront of the fight against corrosion for over 15 years and is now ready to launch it corrosion resistant flagship product, MetalShield™. MetalShield™ is a metal bonding solution engineered to reduce or eliminate the formation of corrosion on metal. MetalShield™ has been proven, in scientific lab tests to actually bond to metal and create a corrosion resistant surface once applied. The PetroLuxus based products is an NSF/ANSI 60 Certified liquid cleaning solution and meets the regulatory requirements for the USA, Canada, Israel, Saudi Arabia, Spain and the UAE. The production of gas and oil is often accompanied by water, either from the formation, from condensation, or from water injected as lift assist. Acid gases, such as hydrogen sulfide (H2S) and carbon dioxide (CO2) are often present in produced fluids, and oxygen is sometimes a contaminant in the water used for injection. These acid gases increase the corrosivity of the waters to steel, and can significantly impact the safe operating life of production tubulars and equipment, production vessels, and transportation systems. The presence or absence of multiple phases (gas, water, and oil or condensate) in the same system can complicate the problem of controlling corrosion. The flow regime or pattern of fluids in a tubing string, vessel, or pipeline can have a significant impact on corrosivity. If a well or pipeline experiences “slug” or intermittent flow, highly corrosive conditions may exist in the area of the pipe in slug flow. Pipelines can experience top-of-line corrosion when conditions promote the rapid condensation of water in a cooler section of the line, causing a film of water to form at the top of the line. This water at the top of the pipe becomes saturated with acid gases and corrodes the pipe. A further complication is a change in conditions, such as flow rate, temperature, and pressure over the life of a well, production or processing system, or pipeline, which can result in changing corrosivity or even a change in the potential corrosion mechanisms. The control of corrosion in the oilfield can be a complex problem, requiring detailed analysis and a thorough understanding of the range of conditions expected during the life of the system prior to the development of a corrosion management plan. Ascension Technologies’ MetalShield™ product has been developed to not act as a coating but to actually bond to metal creating a barrier to the creation of corrosion. MetalShield™ product is a proven performer “raising the bar” in providing cost-effective corrosion protection in all oilfield operations. Ascension Technologies’ corrosion inhibitors are effective in the severe environments found in cutting-edge production systems such as those found in the North Slope, the Gulf of Mexico, Canada, Asia Pacific, and other geographic regions. Applications include controlling corrosion in all types of oilfield operations, including oil and gas production, processing, and transportation systems. The composition of particular oilfield brine, system temperature, and the composition of hydrocarbons in the system affect the solubility of oilfield corrosion inhibitors. Ascension Technologies’ field sales and service personnel are a key component to the overall corrosion management programs. By having a thorough knowledge of the interplay of system effects on the performance of a corrosion inhibitor, knowledge of production operations, and lots of experience in the application of corrosion inhibitors, coupled with a great bonding product, Ascension Technologies’ personnel form the backbone of the Company’s ability to improve customer’s profits. This profit enhancement is accomplished by extending asset life, reducing failure rates, maintaining operability of systems, and by allowing customers the ability to manage risk associated with corrosion. In April 2015, the predecessor company, Planet Resource Recovery, commenced an internal experiment to determine and document the corrosive inhibitor characteristics of MetalShield™. In addition to the primary purpose, an additional evaluation was to determine how long an MetalShield™ solution would last before corrosion would manifest. Below are the photos of the experiment to date. Equal amounts of well water was introduced into each jar. 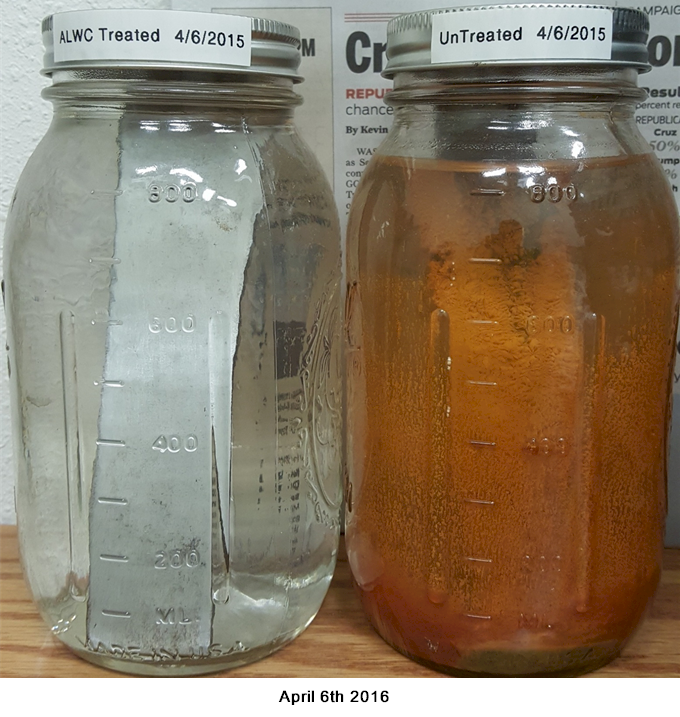 MetalShield™ Concentrate was introduced into one jar at a 5% to volume (Left Jar in Photos). The 2 mild steel coupons were sanded to remove all rust and impurities – No abrasive solvents were used. Steel coupons were placed in Jars. Left Jar in Photos contains the AquaLuxus® WC solution. Right Jar is UNTREATED well water. Rust in action video clip courtesy of M. Phillips. MetalShield™ comes from a family of products known as PetroLuxus™ and were developed over past fifteen years of study and trial. The products are proprietary in nature and were developed to liberate hydrocarbons from a variety of materials and media. All PetroLuxus™ products share basic and inherent characteristics to act with hydrocarbons on a molecular level and cause them to lose their attraction to water, metals, minerals, and other particulate matter. MetalShield™ is a metal bonding product that reduces or eliminates the formation of corrosion on metal. The corrosive nature of salt fouls, deteriorates metals and plugs equipment contaminating the refining process. MetalShield can be applied in oil field environments as simply as spraying or painting the product on any metal surface susceptible to rust formation. Yes, PetroLuxus MetalShield™ is an inorganic compound and thus contains no organic compounds, toxic metals, or their salts. The environmental fate of PetroLuxus MetalShield™ is silica, the same material as found in beach sand. The chemistries of PetroLuxus MetalShield™ pose no threat of persistence in the environment, no bio-accumulation, nor toxicity when used at the recommended concentrations. How is PetroLuxus MetalShield™ designed to perform? Is PetroLuxus MetalShield™ a biocide? NO! Biocides work on the mechanism of poisoning bacteria. Biocides such as chlorine work by poisoning the bacteria, although some stronger bacteria species have a survival mechanism whereby they move back into their protein protective shell. This allows the bacteria to survive the poisoning. Environmentally-friendly ChloroLuxus™ WC works on the mechanism of destabilizing the homeostasis – The ability or tendency of an organism or a cell to maintain internal equilibrium by adjusting its physiological processes. ChloroLuxus™ WC chemistry disrupts the bacteria’s ability thrive through a “coating” mechanism with coats the bacteria and/or the food source for the bacteria. This mechanism does not allow the bacteria to survive or thrive. 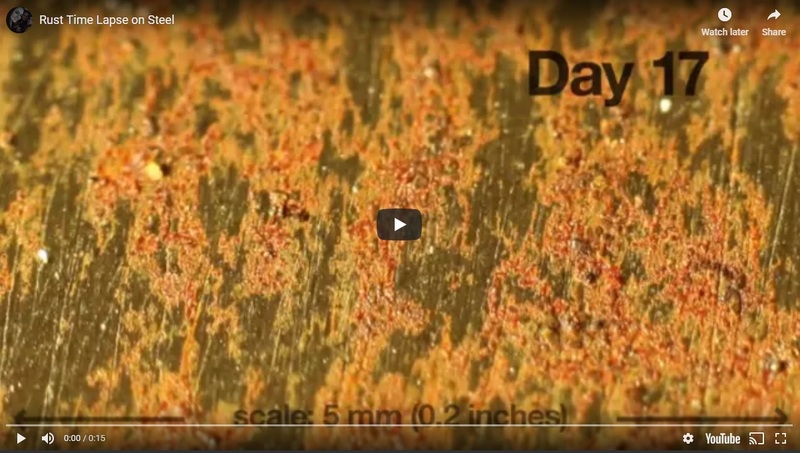 How does PetroLuxus MetalShield™ harmful to humans? PetroLuxus MetalShield™ is shipped in its concentrated form. It has a very high pH – 12.5+. Although the pH is high, it is highly buffered in its concentrated form, though if it is spilled on skin it will not harm. But follow the safety handling instructions as specified in the MSDS. How is PetroLuxus MetalShield™ a corrosion inhibitor? Yes, When PetroLuxus MetalShield™ comes into contact with metal surfaces a polymer layer of silicon and oxygen are deposited and bonded to the metal. The polymer creates in effect, a barrier that prevents the metal surface from interacting with the chemistry of the water stream. It is resistant to acids, alkali and organic compounds. Water well components: pumps, casing, tubulars, screens, etc., pipelines and storage tanks receive the above mentioned coating barrier which extends the life of the components and equipment. How do I get more information on PetroLuxus MetalShield™? You can obtain more FAQ information including product data sheets by going to the download section at the bottom of this page. How is Ascension's MetalShield™ Sold? Choose Your specific tech downloads here! Clip on any DownLoad button to receive additional information on ChloroLuxus™ products. Need a Reader for PDF Files. Get it here! 2018 - 2019 © Ascension Technologies, Inc. All Rights Reserved. Crafted with love by SiteOrigin.